Even in 21st century society, magic remains a constant source of fascination in films, books and on TV, but a new exhibition at York’s Barley Hall aims to separate fact from fiction in medieval England. “Magic & Mystery” opens on 21 June. The exhibition explores many different aspects of medieval magic, and how our perception of what those living in medieval England – a period covering around 500 years from the 11th to the 16th century – would have understood as magic has changed and been influenced over time through the merging of myth and beliefs, understanding of science and even fundamental changes in religious doctrine. Within the displays, visitors will see many items with perceived magical abilities – from plants and herbs used to draught anything from a love potion to a truth serum, to wooden wands used for divination and protection. One perhaps surprising revelation is the idea that the many parts of the medieval Church did not believe all magic was incompatible with Christian doctrine. The exhibition also explores the origins of two of the most famous mythical characters – Merlin and Morgan le Fay – and how their mythology changed: Merlin’s legend originates in Welsh stories of a mad man who live in a forest, but merged with Arthurian legend in the 12th century, retold in the 15th century and Victorian period to create the cloaked, bearded Dumbledore or Gandalf-esque’ character that we think of today. Magic & Mystery opens at Barley Hall on 21 June 2018. Barley Hall is open daily from 10am to 5pm, with admission prices of £6.00 for adults, £4.50 for concessions and £3.00 for children. Family tickets and joint tickets to other JORVIK Group attractions are also available – please see the website for details. York’s medieval townhouse attraction, Barley Hall is announcing an end to the popular ‘Wolf Hall Comes to York’ exhibition to make way for an exciting and mystical successor in the summer. 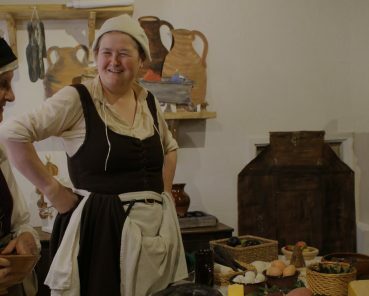 Volunteers will take over the city’s recreated medieval townhouse throughout the summer to showcase the lives of servants in the medieval period. 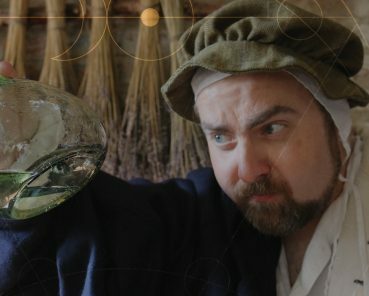 A medieval alchemist is set to walk visitors along the fine line between science and magic at Barley Hall during the opening weekend of Magic & Mystery, a new exhibition which explores how ‘magic’ played an important role in medieval life.